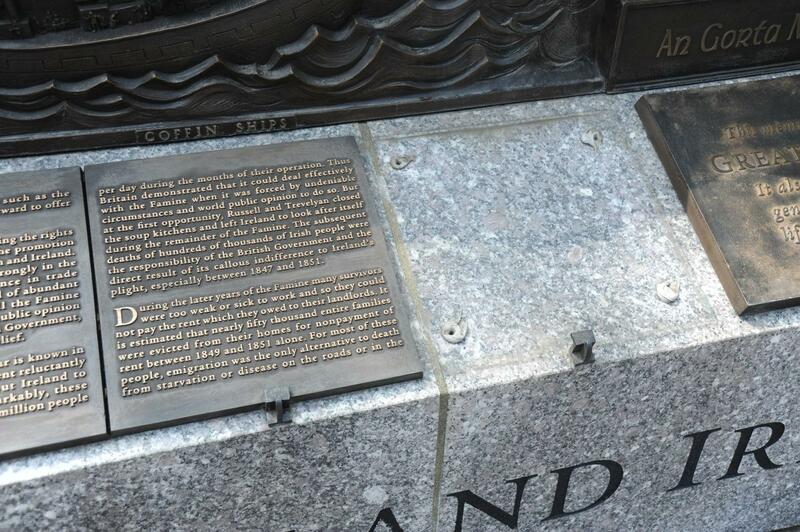 One spot on the Irish Famine Memorial where a plaque was stolen. Photo via Providence Police. 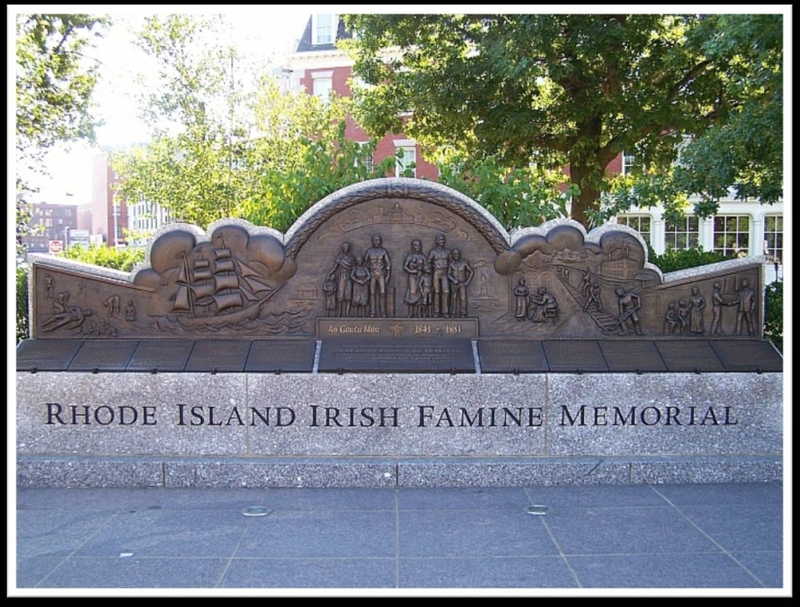 Providence Police are searching for suspects and information after two plaques on the Rhode Island Irish Famine Memorial on Dyer Street went missing. Police said they received a report of the first plaque being stolen on August 28, and believe it was taken between August 12-16. The second plaque was reported stolen on August 30. Police ask anyone with information to contact Detective Sergeant William Dwyer at (401) 243-6380 or wdwyer@providenceri.gov. The Irish Famine Memorial with plaques intact before the theft. Photo via Providence Police.